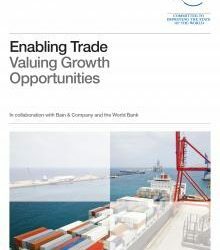 Global supply chains and transport networks form the backbone of the global economy, fuelling trade, consumption and economic growth. 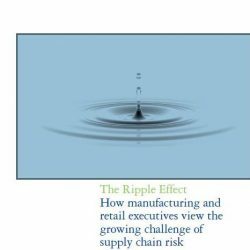 Trends such as globalization, lean processes and the geographical concentration of production have made supply chain networks more efficient, but have also changed their risk profile. Most enterprises have risk management protocols that can address localized disruptions. However, recent high-profile events have highlighted how risks outside the control of individual organizations can have cascading and unintended consequences that cannot be mitigated by one organization alone. Supply chain and transport disruptions are no longer seen as the purview only of operational risk managers. Changes to governance models in the wake of the 2008 global financial crisis and other major disruptions have pushed organizations to review their own approaches to identifying and mitigating systemic risks. C-suite level leadership and corporate boards are increasingly understanding and being held accountable for the many aspects of organizational risk. 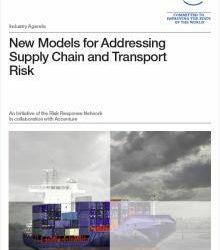 Governments also have been increasingly challenged to understand and manage risk across global supply chain and transport networks. The political, economic and security implications of regulating in a complex environment have necessitated new approaches for public-private collaboration. 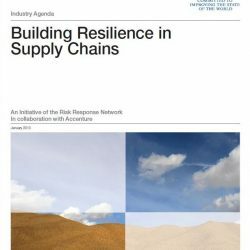 Following discussions during the Annual Meeting in Davos-Klosters in 2011, the Forum engaged a diverse group of supply chain and transport risk experts to explore systemic vulnerabilities. 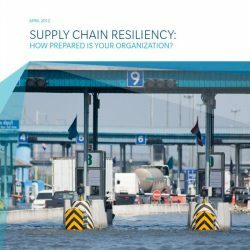 This supply chain and transport risk report reviews external shocks, network trends and vulnerabilities. It proposes risk mitigation approaches to further develop and suggest recommendations for action.